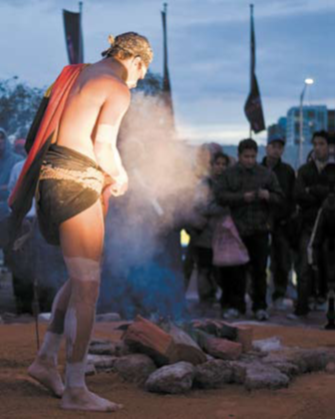 For nearly five years the Light in Winter festival has welcomed the expertise of Gunditjmara and Kirrae Whurrong woman Vicki Couzens whose insight and skills as a curator and coordinator for the popular Campfire Program have kept the event burning brightly. Hailing from the volcano country of the Western Districts, Couzens is very excited at the rapid growth of the program as it expands with every year to include a range of community and cultural groups. 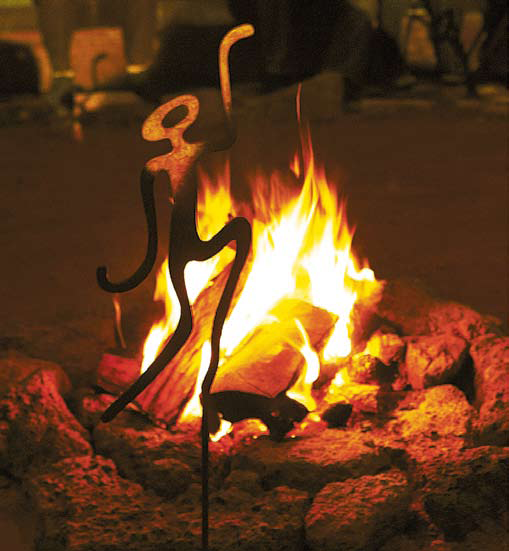 The events in Campfire Program include a range of activities for the community. From June 13th people of all ages will be welcome to listen to Uncle Herb Patten demonstrate his skill at gum leaf playing, attend storyteller Larry Walsh’s dreamtime story sessions or learn the skills of basket weaving. Spirituality is central to the Aboriginal community and through symbols of fire and light Aboriginal people also bring the spirit of their culture, wisdom and knowledge of traditions that have existed long before the continent was even known as Australia. “City is built on country – peeling back those layers and concrete to expose the real country is vital because that is what we’re walking on today, that’s what’s important”. It seems like straightforward advice, after all you wouldn’t barge into someone’s house without knocking, but as Couzens explains we have forgotten that in this country “everybody who is not Indigenous is a boat person – and while the debate about asylum seekers continues let’s remember that they at least are asking permission unlike 200 years ago”. Simplicity is the key to connecting back to country and the activities in the Campfire Program are all focused upon reconnecting with the essence of what is important. Education is a foundational stone, emphasises Couzens “not only what we learn in school but cultural and community knowledge that is shared through storytelling, singing and participation is essential towards maintain a thriving Indigenous culture”.